Microsoft is dropping Windows 10 S as a standalone product in favor of a new “S Mode” for Windows 10 Home, Pro, and Education possibly to clear confusion among its hardware partners and consumers alike. Both Thurrott and Neowin have discovered that Microsoft is dropping Windows 10 S,Windows version that’s designed to compete with Chrome OS. However, the operating system restricts users to download apps from the Windows store. Barring the Windows 10 S, every other version of Windows 10 has the option to download apps from third-party stores and sites. The Surface Laptop was the first commercial device available to run Microsoft’s Windows 10 S.
According to the reports, the Redmond-based company wants Windows 10 S to be the first version of Windows 10 seen by buyers of new Windows 10 Home and Windows 10 Pro PCs. 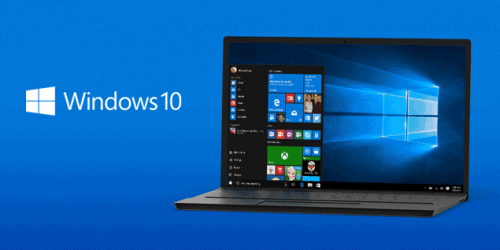 Windows 10 S and Windows 10 are reportedly being fused together, so that Windows 10 S becomes a “mode” of Windows 10. Thurrott reports that 60 percent of Windows 10 S users have remained on the operating system, instead of switching to Windows 10 Pro free of charge. 60 percent of those who do switch reportedly do so within the first 24 hours of owning a Windows 10 S device, and if they don’t switch in a week then 83 percent stick with 10 S.
The cost of unlocking full access would depend on what you’re running: Windows 10 Home S users could unlock to the regular Home release for free, while those using Windows 10 Pro S would have to pay the previously mentioned $49.